Tis the Season for Training! Winter at Kimberly Nurseries is time for training; webinars, seminars and personal studies for industry certifications. 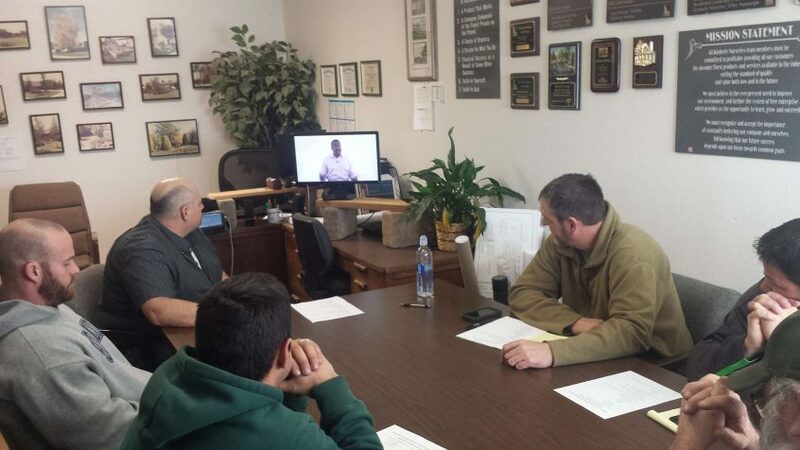 Today our irrigation techs; Bill, Eddie & Jerrod along with John, Dave and Micheal attended a webinar about customer service, communication and follow-through.